Saratoga Casino and Raceway can trace its history back to June 26, 1941 when 4,048 patrons attended the first race program at what was then called Saratoga Harness. 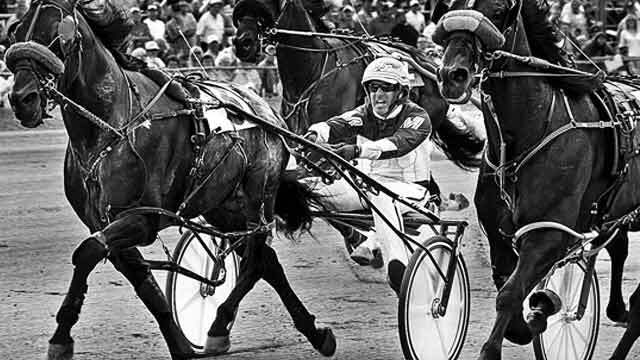 Historically, Saratoga Harness is the third oldest harness track - the first ever specifically constructed for the purpose - in pari-mutuel harness racing. Only the now defunct Roosevelt Raceway at Westbury in Long Island, New York and Batavia Downs in Batavia, New York were already established as racecourses when harness racing began in Saratoga. As Saratoga Harness grew and prospered, so did the sport of harness racing. In 1941, Saratoga Harness conducted 26 racing programs with racing fans wagering an average of $27,050 on each program. Each year the attendance and handle continued to grow as the popularity of harness racing increased. With the exception of 1943 when racing was cancelled because of World War II, racing at Saratoga Harness experienced unparalleled growth. Total handle grew from $9.5 million in 1950 to $17.2 million in 1960 to an even more impressive $45.7 million in 1970. The number of racing programs soared from 90 in 1950 to triple digits in 1960 and close to 200 in 1970. As harness racing expanded, so did the facility. Renovations to the property were constantly made with major additions to the clubhouse and mezzanine area completed in 1965 along with an upgrade to the track's lighting. The quality of racing improved mightily as Saratoga Harness attracted the top standardbreds in the country with Grand Circuit racing. Darn Safe became the first trotter to break the two minute mile mark on a half-mile track in 1957 with a 1:59.4 mile and Laverne Hanover became the first two-year-old to better the two minute mark with a sparkling 1:59.4 effort as Saratoga Harness became known as the world's fastest half mile track. Nevele Pride graced the Spa oval on September 6, 1969 and trotted a mile in 1:56.4, the fastest mile in history on a half mile track. Hall of Famer Stanley Dancer was in the sulky that afternoon and Nevele Pride's mark would stand the test of time until 1988 when Mack Lobell won a Breeders Crown event at Saratoga Harness in 1:56 for John Campbell. Spectatorship continued to grow fast and furious at the world's fastest half mile track. Saratoga Harness celebrated its 30 th anniversary on June 30, 1971 as a record crowd of 14,200 turned out for the festivities. Saratoga Harness continued to host Grand Circuit racing through the 70's as the top two and three-year-olds visited the Spa oval to take a crack at the large purses and the prestige of competing in a Grand Circuit race. Overall attendance reached its zenith in 1970 as 730,283 fans attended 193 programs of racing while handle reached its highpoint in 1981 when $46,329,738 poured through the tote machines. With the introduction of off-track betting in 1973, business at Saratoga Harness began to experience a decline. In response, winter harness racing was introduced in 1978 - thus extending the track's racing season to year round racing. As attendance and handle continued to decline in the 80's and 90's, the track added the simulcasting of thoroughbred and harness racing on a daily basis. Saratoga Harness expanded the scope of its business in the 1990's to include hosting large concerts, auto shows and craft shows. In 1998, Saratoga Harness changed its name to Saratoga Equine Sports Center. The name coincided with additional equine events that were featured at the 190 acre facility. High goal polo was contested during August at The Lodge Field and the track hosted the New York State Barrel Racing Championships, the Classic Carriage Competition and local hunter and jumper shows. In November of 2002, the New York State Legislature passed a bill allowing video gaming at New York State racetracks. The Saratoga County Board of Supervisors voted in February of 2003 to allow video gaming specifically at Saratoga Gaming and Raceway. Soon after, Saratoga Equine Sports Center became Saratoga Gaming and Raceway and was the first `racino' to open in New York State. The property welcomed over 10,000 guests on opening day, January 28, 2004. Saratoga Gaming and Raceway opened a 45,000 square foot expansion on May 1, 2007 bringing the total number of gaming machines to 1700. Included in the recent expansion is a two-story, Vegas-style night club, Vapor, and the Garden Buffet with seating for over 400 that serves lunch and dinner. Saratoga Gaming and Raceway celebrates its 7th year of operation in 2011. In conjunction with this celebration, Saratoga Gaming and Raceway announced the change of its name to Saratoga Casino and Raceway and the extension of hours beginning Monday, January 3. Other food and beverage options at Saratoga Casino and Raceway include the casual dining restaurant in the gaming area, Lucky Joe's, three bars, a deli located in the mezzanine and Fortunes, a tiered dining room that seats approximately 350 guests and overlooks live harness racing. The track is a 1/2-mile oval, where horses do two laps to complete the commonly-used 1-mile (1.6 km) distance used in U.S. standardbred races. Because of the landscaping present in the infield and the country feel, the track has been dubbed "The most beautiful 1/2-mile track in the country. For some time, an expansion of the track to a 5/8-mile oval was being discussed, but it never came into fruition, and no further discussion about an expansion to the track's oval has come up in the last 5 years. Inside, the clubhouse is unchanged and is in use for all wagering when racing is underway on the oval outside. The grandstand has seen several changes, especially in the last 10 years. The second floor houses simulcast wagering, as well as enclosed stands and a restaurant. The first floor houses the over 1,700 video lottery terminals, or VLTs for short. They are mostly in the form of video slots, but other forms of video gaming are present, such as poker, roulette, keno and now craps. Except for the craps and roulette, where the results are random and not based on previous outcomes, the slot machines are such where each play is dependent on the results of lottery scratch play ticket pre-determined by the centralized computer system-which in this case is the New York Lottery. All machines work on a voucher system, where the patron inserts money or a ticket, and all payouts are given in the form of a printed voucher, which may be inserted into another machine or turned into the cashier cage for payment. Saratoga Casino and Raceway has been called a few names through its 70 year history. The track, originally dubbed just Saratoga Raceway, was opened in 1941 as a facility for American harness racing and was the third racetrack to have pari-mutuel wagering. According to the history books, the Saratoga harness racing legend was born when two horses named Lady Suffolk (aka The Old Gray Mare) and Moscow were set against each other in a staged race. During the height of racing, thousands of fans would visit to cheer on the horses. The track would offer grand-circuit racing, attracting some of the biggest names of racing at that day to the half-mile facility. The track was notorious in the early 80's for being where Niatross collapsed and fell on the inner rail on the stretch run home, losing his first race ever. But the advent of off-track betting and the economy led towards sour times for racing at the Raceway. Not wanting to surrender, the management changed the name of Saratoga Raceway to Saratoga Equine Sports Center in the 1990s, to reflect the plans of bringing in more horse-related activities to the facility. But the name change did not bring renewed interest in the sport. During the worst, races from other tracks in the state would have to be simulcast on the track's program in order to bring a nine-race card. This all started to change in 2001 when New York State officials approved a measure allowing for VLT's to be installed at several race tracks in the state. In early 2002, Saratoga County officials approved the installation of the terminals at Saratoga Raceway. During the 2003 racing season, work was being done to the ground floor of the grandstand, transforming it from the racing facility it was to the gaming floor it is today. As a result, racing patrons watched the horses run from either the clubhouse, or the second floor of the grandstand. On January 28, 2004, Saratoga Raceway became the first racing facility in New York to open the video lottery games to the public, as thousands of patrons came to usher in the new era at the Raceway. In reflection of the new video lottery games, the Saratoga Equine Sports Center changed its name in 2004 to Saratoga Gaming and Raceway, which would last until the start of 2011, when the facility changed names once more to Saratoga Casino and Raceway, reflecting the plans to introduce electronic table games to the facility and increase the diversity of gaming options at the racino. The effects of the racino could immediately be found at the racing side of the facility. Purses started to increase dramatically. Prior to the VLTs, horses running in the highest level, the "Winners over $5,000 Lifetime" condition, was competing for approximately $4,500 in purse money. Today, horses running in the highest level, the "Open Handicap", now compete for approximately $16,000 in purse money. Horses who ran for the lowest class offered, a $2,500 claim, ran for $1,100 in purse money. Today, the lowest condition is offered for $3,200. The racino measure also allowed Saratoga Casino and Raceway to offer the New York Sire Stakes Night of Champions in 2005 and 2006 while Yonkers Raceway was being renovated to allow for video slots. 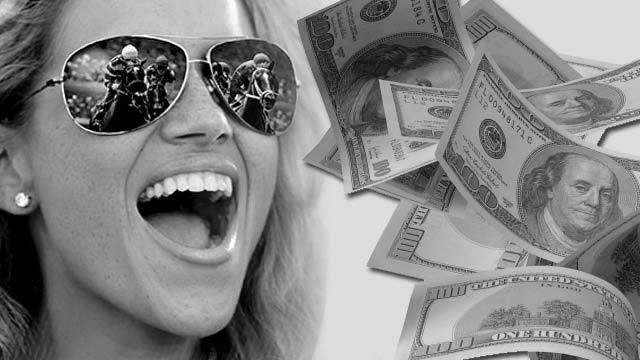 The two nights gave Saratoga Casino & Raceway the highest single-day purse offerings, with over $1 million up for grabs. The New York Sire Stakes Night of Champions returned to the racino for a third time on October 1st, 2011. Saratoga Casino and Raceway's biggest race of the year is the Joe Gerrity Jr. Pacing Series, which takes place in August. It was a four-leg series until 2013. It is now a single dash for $275,000. The fifth annual Joe Gerrity, Jr. Memorial will take place on August 17, 2013. In May 2012, the track's parent company, Saratoga Harness Racing, agreed to buy Fitzgeralds Casino in Black Hawk, Colorado for $28 million. The sale closed in January 2013, with plans to spend $40 million on expansion and rename the property as Saratoga Casino Black Hawk. The first horse race staged Saratoga Springs was a harness race between Lady Suffolk (nicknamed The Old Gray Mare) and Moscow. Ever since that day, Saratoga Springs was destined to become a horseracing mecca. Harness racing humbly defines itself as the sport of the people. It has a rural feel to it, a game that is still played at county fairs throughout the United States.